← Who was this blessed Companion of the Prophet ﷺ ? At the outset, I would like to thank Allah (swt) without Whom knowledge would not have reached us and after sending peace and blessings upon the Prophet (saw), Ahlul Bayt (ra) and Sahaba (ra), I would like to thank the brothers on this forum for equipping me with tools to defend authentic Islam. After a long time, I decided to go to dhikr today (as some of you might recall, I attend Naqshbandi dhikr). Dhikr takes place every Saturday in Maryland (an adjacent state to the one I live in) and on the way, I pass by a Shia mosque. Traditionally, I take the exit, visit the Shia mosque, offer Asr prayers and then continue down the highway to the zawiyah. It was no different today except it was snowing and I noticed some commotion at the Shia mosque which, usually on Saturday afternoons, is either quiet or closed. Post-Asr, I went to the zawiyah and found out that dhikr had been canceled, thanks to snow. The email was sent literally 30 minutes before dhikr so I was a bit upset. In order to pray maghrib, I thought I’d drive back to the Shia mosque and pray there (since it was on my way back and due to its proximity, it would afford me to offer maghrib before it expired). When I got to the Shia mosque, I saw more cars and I knew that there had to be some type of gathering or program scheduled for the evening. Two brothers (both Shia) were talking about the fiqh of the time of maghrib – interesting thing was that one brother was quoting Iranian books (in Farsi) to an Arab Shia to prove the time of maghrib whereas they accuse us of following non-Arab imams – and there were two other brothers who looked Bengali (from Bangladesh). I seated myself a few feet from this group and a conversation ensued between these four (two Shias and two Sunnis) and sure enough, my suspicion was confirmed when the Bengali brothers said that they were from Bangladesh. One of the Shia brothers, the Iranian one, asked, “are you Shia or Sunni?” An uncomfortable question that, in all of my experience, had never been put across so bluntly. One of the Bengali brothers, miskeen literally, was like, “I don’t know; I just follow the main teachings like praying, etc. We were in the area and we needed to pray maghrib. We found this mosque and here we are”. The Shia brother proceeded to give them a rundown of the same old arguments. “The Prophet (saw), in his lifetime, appointed Imam Ali (ra), Imam Hassan (ra), Imam Hussain (ra) down to the 12th one who is ‘living a long-life'”….the whole nine yards! I was dying; I wanted to say something yet I did not want to start something. He continued with explaining Saqeefah (shura) and that Abu Bakr (ra) appointed Umar (ra) who then assembled a council of a handful of people who elected Uthman (ra). However, in an attempt to remind the Bengali brothers, he circled back saying that the Prophet (saw) had already appointed Imam Ali (ra) during his lifetime. “Excuse me brother”, I interjected. I asked him to tell us when and where the Prophet (saw) appointed Imam Ali (ra). As soon as he said, “Ghadeer…”, I interjected again. “You do not know, or leave, the surrounding circumstances which lead to the announcement at Ghadeer. In fact, Imam Ali (ra) never referenced Ghadeer Khum as the day of his appointment”. “Do you know Nahjul Balagheh”, he asked with his Iranian accent. I said, “not only do I know Nahjul Balagha but I also know that everything in it has no chain so we cannot verify anything in it”. 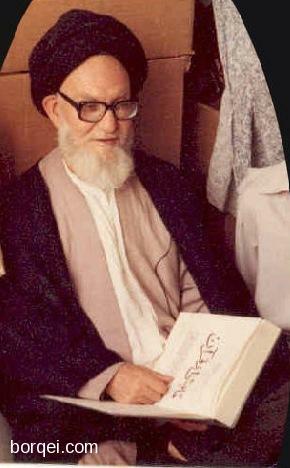 He continued, “Nahjul Balagheh…” and I said, “yes Nahjul Balagha by Sharif al-Radhi has no chains”. He said that the chains were originally there but were taken out to keep the volume short. I laughed. Seeing that he had ran into the wrong person and wanting to continue with confusing the masaakeen (the Bengali brothers), he asked the Arab (perhaps Iraqi) brother to “talk to” me. The Arab brother, right off the bat, quoted, “Your (real) friends are (no less than) Allah, His Messenger, and the (fellowship of) believers,- those who establish regular prayers and regular charity, and they bow down humbly (in worship).” (Surah Al-Maidah verse 55). Alhamdulilah, not knowing Arabic and without having memorized the verse, I knew what he was referring to. I said to him, “I know where you are going with the verse but it says, ‘those’ so it has nothing to do with one person. Also, the hadith used to link Imam Ali (ra) to this verse is weak”. He responded with, “Mufassireen have agreed that this was in regards to Imam Ali (ra)”. I replied, “Mufassireen take from muhadditheen who have said that the narration is weak”. His comeback was, “then you tell me who is it talking about?” I said, “it can be anyone….plus it does not say that they give charity while bowing….it says they give charity and they bow down”. He then quoted the verse of mubahala; he was very disappointed when I told him that I know about the event and the four that the Prophet (saw) took with him. He thought I’d deny it. He proceeded with his own tafseer that when the Prophet (saw) took them with himself, it meant that whatever was with the Prophet (saw) would go to them, they would succeed him because they were the most like the Prophet (saw). I brought to his attention that he was extrapolating a lot and providing his own tafseer. However, when it comes to the event itself, I accept it and that these individuals (ra) deserve much more praise, as we have recorded in our books. With things not going anywhere, he brought up the matter of following Sunnah. He said that Ibn Abbas (ra) narrated that whenever Allah (swt) says, “Ya ayuhal-ladheena aamanu”, He (swt) is referring to Imam Ali (ra) and that this is recorded in Sahihain. I said, “I’m very sure it is not recorded anywhere in Sahihain and if it is found in any other book of ours, it must be very weak”. Again, he was upset that I like to know, or keep track of, the grading of hadiths; he kept getting mad when I’d tell him a certain thing is weak or has no chain, etc. After undoing his lie upon Ibn Abbas (ra), I reminded him that there was much the Prophet (saw) had in praise for his other Companions (ra), apart from just Imam Ali (ra) which, in no shape or form, denigrate Imam Ali (ra). “The Sunnah”, he started going off tangent, “or your narrations in praise of other Sahaba (ra) are 100%, no, not 100% but 95% fabricated by Banu Ummayah and then Banu Abbas”. I gave him brother Farid’s research, that Al-Kafi – despite having more narrations than Sahihain – only contains 1.75% authentic Prophetic traditions. I had to lay it in to him, “earlier you said I need to do my research; I have done plenty of research. It is still an atom’s weight worth of knowledge but it is enough for me to defend masaakeen like those brothers (pointing at the Bengali brothers) who are getting an earful by our Shia brother. All the Shia brother is doing is creating doubts and confusion in their minds”. I am a small guy and the brother was not much taller than me but stocky and I knew in the beginning he was very agitated so I was constantly smiling because I did not want this to go south. People see my small size and think they can intimidate me. However, in time, they realize they are up against the wrong person. Happened to countless missionaries before it happened to this brother. I continued, “I am here to pray and I don’t mind praying maghrib at your time and behind one of your imams which should tell you that I consider you Muslim. However, I’d never rush two innocent Shia brothers who might come to our mosque just to pray”. I also congratulated him (sarcastically) that the weak narration he quoted from Ibn Abbas (ra) – that everytime Allah (swt) says, “Ya ayuhal-ladheena aamanu”, it is a reference to Imam Ali (ra) – is the predecessor of the same Banu Abbas he accused of fabricating our hadiths. He followed up with another spurious narration that the Prophet (saw) had told Ibn Abbas (ra) that his descendants would harm the family of the Prophet (saw). He tried to pass it off as our narration and I challenged him to prove its inclusion in our books and its authenticity as per our standards. I didn’t want to let him off the hook so I piled it on him when he tried to give me naseeha; by now he had not only cooled down but seen that he had no legs to stand on. He was stunned but he smiled and repeated his old statement, “why do you care about chain and this and that, weak, authentic, etc?” I reminded him that I’m a technical person, in life and in my profession, so I go by verifiable standards. I informed him that I have done my due diligence and that I am a regular at two other Shia mosques; named both of them and he (to no surprise of mine) had been to both. He mentioned that one of the two isn’t very welcoming toward brothers who have differing opinions, especially Sunnis, and I told him that sitting in a mosque, I would not lie and that every time I have been to that particular mosque, no one has made me feel not welcomed. Now, he was in damage control mode. He said to me that if I study the Islamic history, from the time the Prophet (saw) died till about 60 years out, I’d be in shock; it’d keep me up all night. I replied with, “But that has no bearing on my religion because the religion was completed with the Prophet (saw). To be the best Muslim, I’ve to study the 23 years of the Prophetic life of the Prophet (saw), not what happened after him”. He tried to justify that Islam was completed when the announcement was made at Ghadeer but knowing that I had already refuted the Iranian brother, he left disregarded the Ghadeer argument; he literally dropped it mid-sentence, lol. To help him, I said, “I know your interpretation of when the religion was completed and you know mine and we both know whose carry more weight”. Argument buried and I almost wanted to pray janazah upon it. More damage control ensued and he said that if I were to study those 60 years after the Prophet (saw), “especially at the time of Imam Hussain (ra)”, I’d learn how so many qur’aa died and the Qur’an was in jeopardy. “Wait, chronologically speaking the Qur’an was compiled at the time of Uthman (ra) so where was the danger?” He replied with, “…yeah but the time of Uthman’s (ra) rule was very shaky”. “So was the rule of Imam Ali (ra); extremely tumultuous. It, however, is not a judgment against his leadership. And if you really wish to know whose rule was the most stable, you’ll be hard-pressed to find someone who could rival Umar’s (ra) leadership; it was the most stable and most successful of the first four”. He laughed again and I was like, “I knew you would laugh but your own logic just went against you, brother”. Now he thought he had me. “Do you know who got whipped at the time of Umar (ra)?” Without any hesitation, I said, “Abu Hurayrah (ra), I know, let us talk about it and see how it proves Umar’s (ra) uprightness and Abu Hurayrah’s (ra) innocence”. Sensing that I know how the refutation to it, he retracted, “No, I meant Ammar (ra)”. I said, “I will help you if we speak of Abu Hurayrah (ra); more than Ammar (ra), Abu Hurayrah (ra) is important to our access to Sunnah. Let us talk about it and see if you can denigrate Abu Hurayrah (ra)”. He conveniently steered clear. One last attempt at Ghadeer. He said that Ghadeer is the “most authentic hadith”, even according to Sunnis. I interrupted him; he smiled and said, “you don’t let me finish”. I said, “But I might say something to your advantage”. So he allowed me to speak. I said, “I don’t know of the most authentic hadith in our collection, however, the hadith with the golden chain, the only golden chain, is the one which is narrated by Imam Jaffar As-Sadiq (ra) regarding Hajj and it is in our collection. It has a ‘golden chain’ because it goes strictly through Ahlul Bayt (ra) back to the Prophet (saw). That is our only hadith with a ‘golden chain’ so I’d say that that is the most authentic hadith”. He laughed again and said, “how can you narrate from Imam Jaffar As-Sadiq (ra) when you don’t believe in his Imamah?” I said, “because his Imamah has not been proven by you and the Imam (ra) never mentioned it himself”. This is when the imam walked in and the adhaan was about to be given. He apologized to me if he was rude and I apologized too by putting my arm around him and pulling him in close for a hug (because by now we were sitting side by side). In the meantime, even when the adhaan was going, he was whispering to me and the other Iranian brother was loudly preaching to the two masaakeen (Bengali brothers). He said that people tend to experience their blood boiling during such discussions; I agreed but reminded him that it only happens when you don’t know. When you know your arguments then you’re very calm and comfortable. The Arab Shia brother requested that we stay in touch and I agreed. However, after salaah, before we could exchange information, I had to catch up with the Bengali brothers so we got up to leave. The Shia brothers stayed because they were getting ready to pray ‘Isha. I had a quick chat with the Bengali brothers and realized that their faith hadn’t been shaken and they had no confusion. I wished them well and informed them that I, too, wished for unity 6 years ago (before I had a rude awakening at the hands of a Shia neighbor). However, I assured them that they are upon haqq and that nothing that was said to them (although I couldn’t hear any of it) was true except it was fabricated and misrepresented. Uthman Killed the Prophet’s Daughters?